Mahi Mahi (Pulli Motha), a surface- dwelling ray-finned fish found in off-shore temperate, tropical and subtropical waters worldwide. 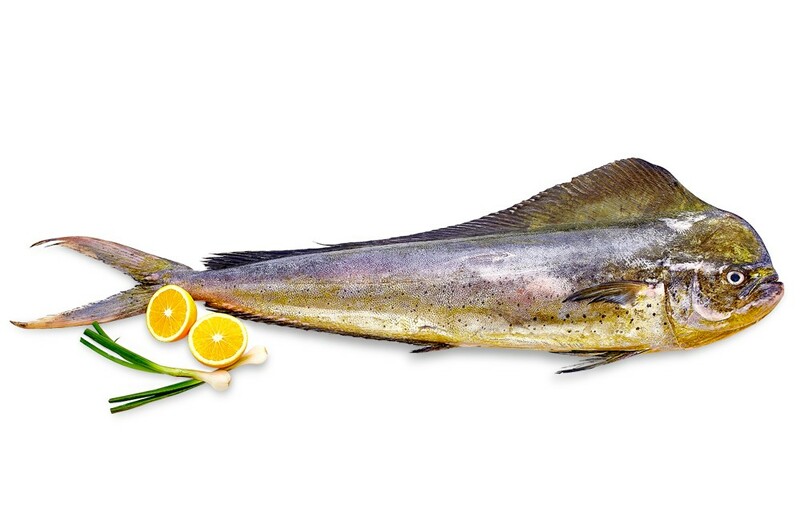 Mahi mahi usually weights around 7Kg-13Kg. They are known to be the fastest growing fish. Their body is slender and long making them fast swimmers. 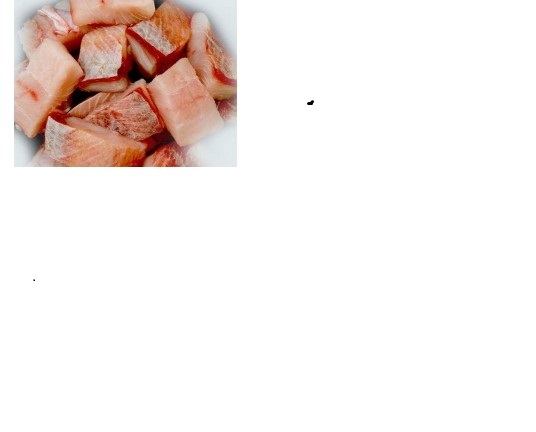 They are rich in protein, vitamins and minerals that help in maintaining good health. 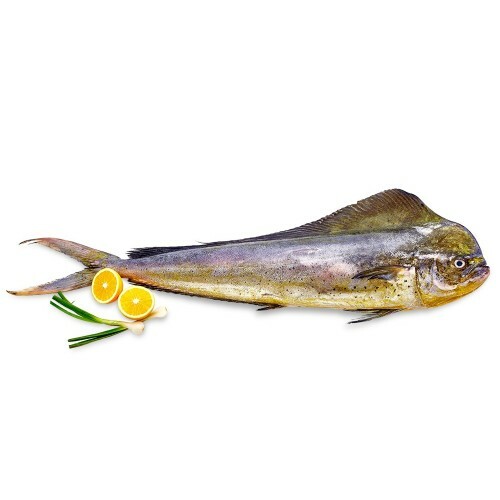 It contains calcium, iron, magnesium, phosphorus, potassium, sodium and zinc and are a good source of vitamins such as thiamine, riboflavin, niacin, folate, vitamin C, B12, B6, A, E and vitamin K.
Mahi mahi’s firm texture stands up well to baking and grilling, simply season with pepper and cook until the fish flakes easily. Add more flavour to your mahi mahi using healthy ingredients. You can also enjoy the fish in salads. In Kerala, Mahi Mahi used to Prepare modha - thilapichathu, modha fry etc. but the main dish is the modha - thala thilappichathu, it is a curry prepared by using the head of the modha.